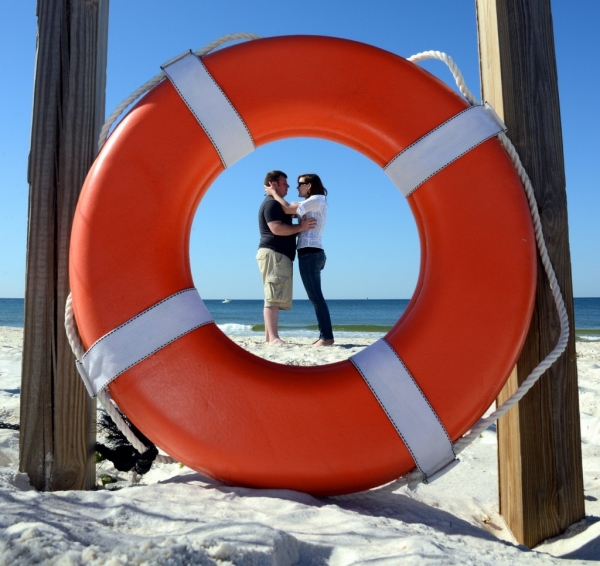 When Peyton contacted me some weeks ago about photographing his wedding proposal to his girlfriend Abby, I was immediately excited about being their Panama City Beach engagement photographer. In the photojournalist side of my photo career, I am always trying to catch an unscripted moment with my camera. No setups, no guidance. Just letting things happen naturally. This was going to be a great mash up of photojournalism and portraiture. Peyton and I were in contact a few times ironing out the details of the Panama City Beach engagement photographer session. They were coming down from Tennessee (where I am also from) for their Spring Break and his plan was to propose while taking a morning stroll down the beach at St. Andrews State Park. After a couple conversations with Peyton we worked out a great spot for me to be casually taking beach photographs while I waited for the couple to walk past me and get into position.We planned on the couple being in my photo vicinity at 9:00 a.m. Let me tell, you..Peyton is good. He had Abby there at exactly 9:00 a.m. and was down on one knee. Pretty darn impressive. The proposal went beautifully. Abbyâ€™s facial expression was priceless and I could feel the joy emanating from their hearts from twenty feet away. 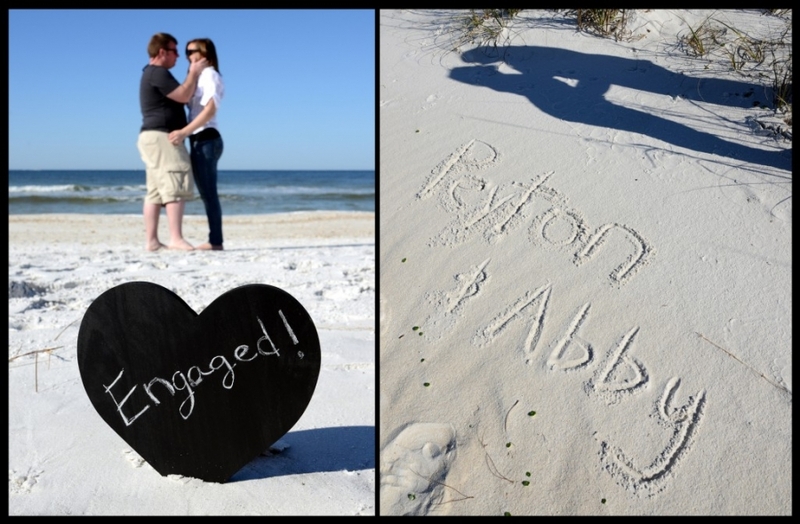 An older couple who had been strolling along the beach stopped and started clapping as Peyton and Abby had their first kiss as an engaged couple. It was truly an awesome moment in time. Abby finally noticed me taking photos of them and I went over to give my congratulations to them both. We then hung around for a little while longer and took a few posed photos of the happy couple. I feel privileged to be a small part of the important life moments of my photo subjects and I take my job as official historian of these moments very seriously. Thanks and congrats to Peyton and Abby!